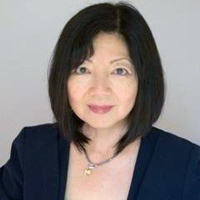 Current affairs reporter, documentary journalist, Parliamentary correspondent, general news reporter, news anchor and host – after two decades of working in journalism in a variety of roles, mainly with the Canadian Broadcasting Corporation (CBC), Susan Harada joined the School of Journalism and Communication in 2003. Since that time, she has taught courses in introductory television journalism, TV current affairs reporting, and video documentary-making at both the undergraduate and graduate levels; a graduate seminar about psychology and journalism; a graduate seminar exploring the role of journalism in society; and, a graduate course focusing on professional practices/analytical journalism. In addition to her teaching, she served as Jobs & Apprenticeships Faculty Adviser from 2003-2009 and Supervisor of Graduate Studies from 2010-2014 before taking on the role of Associate Director of the School of Journalism & Communication and the head of the Journalism program in July 2014. Her research interests include the Supreme Court of Canada and the media; the political development of the Green Party of Canada; and, the future of journalism and journalism education. She has written for The Walrus and J-Source, contributed regularly to the Canadian Federal Election series (edited by Jon Pammett and Christopher Dornan) since 2004, and produced chapters on a number of subjects: political marketing and the Greens, the Canadian courts and social media, and the Supreme Court of Canada and its relationship with the media. During her time at the CBC, she filed news reports and documentaries from across the country (Vancouver to PEI, Edmonton to Ottawa) and from around the world (Somalia to Rwanda, Washington to London). A number of her documentaries produced while with the CBC’s flagship current affairs show The Journal won awards at international film festivals. She regularly filled in as host of both The National and The Journal. She has a journalism degree from Ryerson and a Master’s degree in Legal Studies from Carleton (earning a Senate Medal for Outstanding Academic Achievement).